There’s nothing like a week of back-to-back rainy NYC days to make you finally give in and decide to spend on a pair of rain-proof boots. Especially when your other options were wearing sneakers (prepare for cold ankles) or wearing regular boots (prepare for a major bill from the cobbler); trust me, I would know. In fact, the aforementioned anecdote is actually the exact reason this post is on Who What Wear. As someone who has only recently found themselves in need of rainy day footwear (but who has also yet to come around to the look of the classic rain boot, as functional as they may be), I figured there must be other girls in the same, wet boat—so here we are. Shop my stylish, water-resistant, and waterproof boot picks below! These will go with anything from a skirt to skinny jeans. Would you ever believe these were waterproof?! Add some edge to your look with these. Swap your sneakers for these sneaker-style boots to combat rainy days without changing up your style. So sleek you'll want to wear them every day. You'll keep your feet, ankles, calves, and knees all warm and dry with these. Give yourself some height without the pain by opting for a block heel like this. The rain boot that doesn't look anything like a rain boot. See how your favorite celebs style their Uggs with leggings. 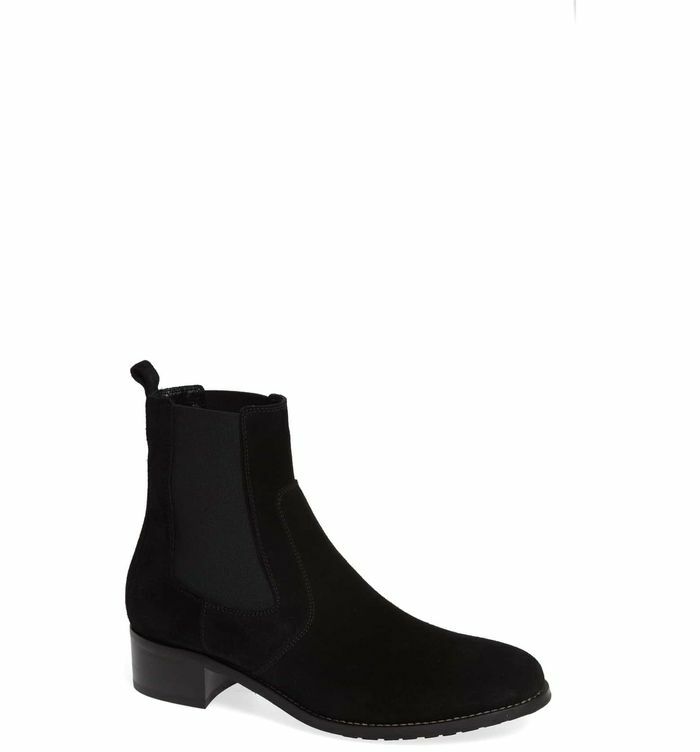 This edgy chelsea boot is so chic. This post was originally published at an earlier date and has since been updated. Now that you've got the shoes, see what your favorite celebs wear in unpredictable weather.